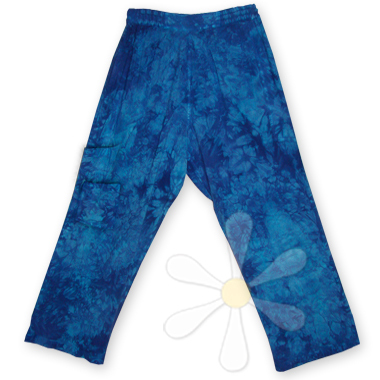 These soft casual pants are comfortable AND stylish! They feature deep side pockets and, like all of our pants and skirts, there's a wide elastic waist, stitched in three individual rows so they won't pinch. The two fully functional pockets are a delightful detail and the perfect place to stash things like your mobile phone. The handmade quality of our free size pants is simply superior and gives them uuncommon durability. Who says casual comfort needs to be boring? Not us!